Trends are moving regarding the situation in Guantanamo. President-elect Barack Obama had already signaled his intention to close the facility, but questions remained regarding the fate of the prisoners. Portugal’s offer to take in some of the detainees breaks European resistance to assisting the US deal with the problem, and can prelude a concerted European effort to help the incoming administration break the jam. President-elect Barack Obama will announce Gitmo’s closure early on the mandate, capitalizing on the good-will generated by the measure to push diplomatic initiatives. The remaining detainees will likely be scattered across the globe. The “team of rivals” concept is utter nonsense. Bringing Clinton to the State Department is a terrible idea, and it won’t take long before Obama regrets it bitterly. Following intense speculation in the past couple of weeks, it was now confirmed that Clinton will be the new Secretary of State. This is a major event, and one that is bound to shape irreversibly the Obama presidency. In any administration, the Secretary of State is one of the most powerful figures, since it is assumed that the incumbent enjoys the absolute confidence of the President. In this case, the nomination assumes special significance, since it was over foreign policy matters that Clinton and Obama spat more bitterly. Less than six months ago, Clinton was scolding Obama for wanting to engage in talks with Iran regarding its nuclear program, joining McCain’s line in depicting him as naive and dangerously inexperienced. Obama, on the other hand, was fast to point out the fact that Clinton supported the Iraq War (while he was strongly against it from the beginning) thus portraying her as a backer of Bush’s most loathed policy decision. Could it be that they’re now seeing eye to eye on matters over which they were tearing each other apart during the primary trail? Or has Obama, despite all the idealistic platform on which we was elected, already succumbed to the real politik diktat, and felt the need to disarm Clinton by having her on the team? Is he living by Corleone’s maxim of “keep your friends close, but your enemies closer”? Obama’s supporters call the move a “master stroke”, speaking about building a “team of rivals” that has the potential to make this the most accomplished Democratic administration since Franklin Delano Roosevelt. One can understand the argument: Clinton is, after all, an undisputed political powerhouse, and, thanks to her former role as First Lady, will be able to hit the ground running when she starts touring the world capitals. 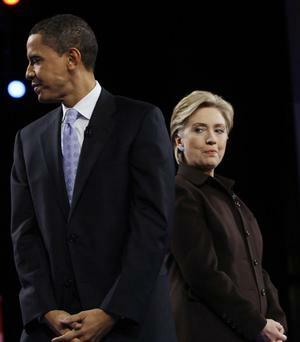 So, by nominating Clinton to the State Department, Obama accomplishes two things: one, he ensures that she is kept on board with the administration, instead of being left loose on the Senate, where she could become a rallying figure for Democratic discontent over unpopular measures he will be forced to take. And two, he gets a Secretary of State with instant face recognition, who will be warmly welcomed in the chancelleries where (right or wrong) Clinton’s consulate is kindly remembered as the golden age of multilateralism. All this, however, pale in comparison with the immense downsides of having a fake believer on the team. It’s true that, by having her on the State Department, Obama saves himself, and especially the Senate Democratic leadership, the trouble of having to constantly appease her over each and every measure expected to pass the Senate. On the other hand, he risks seeing barricades erupting at Foggy Bottom, with everything, from Israeli-Palestinian peace plans to withdrawal from Iraq to positioning towards Iran subject to endless and paralyzing bickering. Given the present state of Brand America, and the dimension of the challenges ahead, the last thing the new president needs is to voice a dubious message through a staggering positioning. It is, however, very hard to see how a coherent strategy can emerge out of this “team of rivals”. In an interview published Monday on Spiegel, the Turkish President, Abdullah Gül, appears cool regarding Turkey’s horizon of accessing the EU, saying the country isn’t “in any rush” to join the bloc. Gül seems conformed that the latest progress report from the EU, due to come out next month, will again spotlight Turkey’s shortcomings, namely the slow pace at which the reforms, demanded by the Union as a pre-condition to membership, are being undertaken. The Turkish president concedes the argument, and pinpoints “domestic policy issues” as the reason for lagging behind. He seems nonetheless confident that the country will recover the lost ground next year. Turkey, in fact, has had a rough ride lately. In February, the parliament, where Gül’s AKP holds an absolute majority, approved a constitutional amendment revoking the Kemalist law that expressly forbade the use of the headscarf in public universities. The amendment was later overruled by the Constitutional Court, but the move generated a huge backlash among the Kemalist elite, already distressed by the AKP’s hold on the nation’s top posts. The Kemalists took the headscarf law as proof that the AKP had a secret Islamist agenda, and the chief prosecutor moved to outlaw the party, on the grounds that it was seeking to undermine the secular foundations of the state. The case was later dismissed by the Supreme Court, but it served to show, once again, the deep fractures that are running in Turkish society, with the country seemingly caught in the grips of an open war between the old Kemalist elite and the upcoming Islamist elite. This war, however, is not restricted to the elite, and it has spilled over to the society at large. Last year, hundreds of thousands took to the streets for and against Gül’s nomination for the presidency. More troubling, the Army made a point of saying that it still regarded itself as the custodian of the state – a Kemalist state, that is -, in a thinly veiled reminder that it wouldn’t be shy of, once again, removing a government that went too far in questioning the foundations of that state. Eventually, Gül was elected, and the Army stayed in its barracks. But the Ergenekon process, which started this week, is a timely reminder that the underlying fractures are far from resolved. Amidst all the commotion, one stabilizing factor has clearly been the prospect of joining the EU. With a GDP per capita of approximately 28% of the EU’s value, Turkey can clearly see the advantages of joining the bloc, and both factions are wary of doing anything that would close the door to Europe. But the fact is that Turkey has been waiting at the door for almost half a century, and it’s getting tired of it. In 2007, the Pew Research Center global survey found that only 27% of Turks had a favorable opinion of the EU. In 2004, that number was 58%. Another study, from the Center for Strategic and International Studies, found that only 26% of Turks believed the country would ever join the EU. Gül still says that Turkey “expects the Europeans to honor their agreement” about allowing Turkey into the club. But, in a sign that the government is beginning to heed the growing wave of discontent regarding Europe’s misgivings about Turkish membership, he also says that, at the end of the negotiations process, Turkey “will have to make a political decision about whether it should join the EU.” The membership is no longer presented as a prize to be passively accepted by Turkey, but rather as a strategic decision that it may, or not, choose to take. This is no mere bluff. With the economy growing solidly (although still far from European standards) and its diplomatic status raising – it just got elected to one of the temporary seats in the UN Security Council, and it has been mediating talks between Israel and Syria that could pave the way to a peace treaty between the two countries -Turkey feels that it has choices. And it may well decide that it would do better to turn to places where it’s presence would actually be welcomed, and not merely tolerated. The EU has been using the membership carrot to lure successive Turkish governments into modernizing the country. Which has proved to be an efficient tactic: reforms that would have been very hard to swallow for some sectors of the society were successfully pushed through because they advanced Turkey in its path towards Europe. In fact, it can be said that the EU has been Erdogan’s insurance policy against more aggressive moves from the Kemalist elite. In the more critical times during the past year, the EU issued a series of blunt warnings that it regarded very negatively moves from the Kemalists to destabilize the government. For instance, when the case to outlaw the AKP was moving to the Supreme Court, Olli Rehn, the EU Enlargement Commissioner, felt appropriate to issue a statement saying that “in EU member states the kind of political issues referred to in this case are debated in the parliament and decided through the ballot box, not in court rooms”. 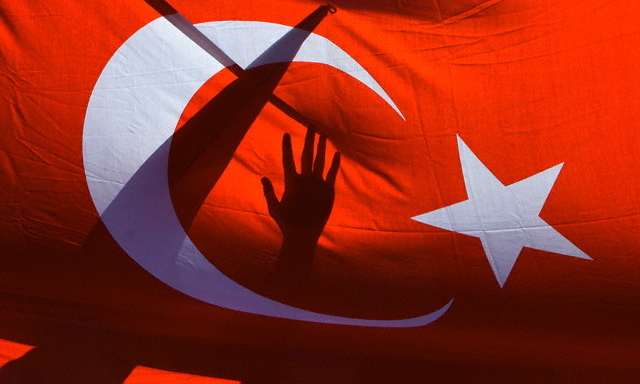 The EU has held great leverage over Turkish policy, and it has used it fully. In 2004, it even got Turkey to persuade the Turkish Cypriots to vote favorably the UN plan to reunite the island. The only thing that prevented a unified Cyprus from joining the EU that year was the stubbornness of the Greek Cypriot president, Tassos Papadopoulos, who campaigned hard for rejection of the plan. It would, however, be wrong to assume that it is Brussels who’s gaining everything it wants from Turkey. In fact, it’s becoming increasingly clear that the AKP is using the EU to outgun the Kemalist elite, enabling it to push through its reforms agenda without fear of a military coup, which would have been much more likely if Turkey were not on its eternal path to membership. But once this structural reforms are sufficiently advanced, and the process of replacing the old kemalist elite for the emerging one reaches a point of no return, will the EU continue to hold much sway? Or will Turkey simply decide that, now that it is well on its way, it has no more use for an increasingly bitter carrot? The EU strategy for the past decades appears to have been aimed at tiring Turkey on a seemingly endless road to membership, without actively alienating it. Now that it is about to succeed in the first account, it should start preparing for failure in the latter. OK, you aren’t buying the story that Obama is a “terrorists’ pal” or a “elections riggers’ pal”. You don’t even seem to care that his middle name is Hussein and that “Obama” rhymes with “Osama” (both telltale signs of a dangerous, un-American terrorist). But what if I told you that voting for Obama would increase (and not decrease, as you may naively believe) the chance of war with Iran? Ah, I bet that grabbed your attention. But wait, didn’t Obama say that the was willing to talk to Iranian leaders, and not bomb them? Didn’t McCain showed almost an eagerness to confront them? That’s true, but here’s the catch: Obama, being the girlie liberal that he is, might never have the guts to actually launch military attacks on Iran, as McCain gladly would. But Bush, or Israel, could. Confronted with the prospect of a whinny liberal like Obama taking his place at the White House, Bush could feel tempted to launch military strikes in the waning days of his Presidency. On the other hand, if McCain were to be elected, Bush would feel less tempted to embark on this final folly, since he could rest assured that macho McCain would be willing to do the same at any time. A similar train of thought would be followed by Israeli leadership. So, which one would you choose: Obama=War or McCain=No War? I bet that kept you thinking, right? I know this argument is more surreal than many would think possible, but that’s what archconservative Bill Kristol, of all people, put forward last Sunday. Having labeled the McCain campaign tactics “stupid”, Kristol proposes the way forward: scare them in a more effective way. As Kristol sees it, the problem isn’t that McCain has embarked on a smear campaign through an array of negative ads. The problem is they’re simply not working. Despite all of McCain innuendoes and Palin winks and nods, Obama keeps moving ahead on the polls. So it’s time for a change in tactics. Well, sort of. If your scare campaign isn’t working, what do you need to do? Why, scare them more, that’s what you need. So you brandish your stick and say “vote McCain or Iran gets it”. Nevermind that McCain recently sang “bomb, bomb, bomb Iran” in an election rally. Nevermind also Palin’s view that the US shouldn’t “second guess” Israeli policy towards Iran, thus providing a tacit endorsement for military action. Nevermind, finally, that the economic turmoil all but invalidates any prospect of the US embarking on a new military adventure anytime soon. Bush might disregard the consequences, but there’s some sane people around him, not least the top brass in the military. All you need to do is ignore reality and charge ahead with some preposterous, attention-grabbing thesis that will short-circuit the proceedings of rational thought. That’s the sort of shock and awe tactics that, hopefully, will turn white into black and black into white, herding the terrified voters into McCain’s military arms. Kristol, after all, is an expert on this matter of ignoring reality in order to build a scary narrative. He was one of the main promoters of the Iraq War. And he still hasn’t given up on Iran. Since he broke loose from the neoconservatives, there’s no stopping him. Francis Fukuyama, once one of the movement’s luminaries, just can’t seem to stop seeing the shortcomings of the positions that until recently he espoused. In an article published in the latest edition of Newsweek – ominously titled The Fall of America, Inc – Fukuyama muses about the deteriorating state of “brand America”. Brand America was in good shape when it managed to propagate around the globe two glossy ideas: a vision of capitalism based in market deregulation, and the notion that the US is a moral power, a “force for good” in the world. Iraq took care of the latest. Now the ongoing economic meltdown is taking care of the former, and brand America is hurting like never before. Now that his old pals aren’t watching over his shoulder, Fukuyama isn’t afraid to point the finger at the conservatives that got carried away with their Reaganite mantras as the ones to blame for the current state of affairs. I mean, don’t get him wrong: Fukuyama still has a poster of Reagan in his bedroom closet. The thing is that he now looks at it with the same nostalgia that drove “Mamma Mia” to the top of the box office. It was fun back in the day, but who would dress like that now, right? Reagan (as his across-the-pound counterpart, Thatcher) was “right for his time”. The problem is that “what were once fresh ideas have hardened into hoary dogmas”. And what would this dreadful hoary dogmas be? Why, nothing less than excessive market deregulation. “What!? Market deregulation? Excessive!?”. You can almost hear his neocons pals howling at the concept. For them, “excessive deregulation” seems as absurd a concept as “excessive faith” would to a priest. But wait, there’s more: this “Reagan-era article of faith—financial deregulation—was pushed by an unholy alliance of true believers and Wall Street firms”. Yeah, I guess you can easily imagine all those CEOs floating in the air with their heads spinning around, while sacrificing a goat over the effigy of the SEC’s chairman. Now that he has grown allergic to that kind of rituals, all it was needed was for Fukuyama to start pushing for higher taxes and increased government spending – the dreadful “big government”. Impossible, you say? Guess again. Fukuyama has the audacity to say that the American economy grew just as fast during the Clinton years (with tax increases that lead to a budget surplus of $127 billions when he left office) as it did during the Reagan years (with tax cuts that lead to a deficit of $152 billions and a national debt of $3 trillion when he left office). 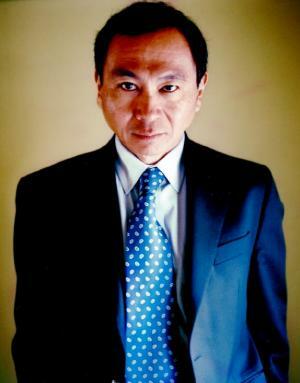 Not happy with implying that it’s OK to raise taxes – itself a mortal sin among conservatives – Fukuyama is also calling for a revamp of public services, thus increasing government spending in such dull areas like health and education, and not in the cool and neocon-approved areas of military and, well, military. According to Fukuyama, “the entire American public sector—underfunded, deprofessionalized and demoralized—needs to be rebuilt and be given a new sense of pride.” How about that? Doesn’t he sound just like Chomsky? No wonder he had to leave the American Enterprise Institute gatherings. They skin people for much less there. In her first interview since being nominated as the vice-presidential candidate for the Republican party, Sarah Palin showed the US and the world why she was nicknamed the “Barracuda”. Being, by her own description, a regular “hockey mom” from a small town, Palin carries the same simple mental frame to the stage of international affairs. The “Barracuda Doctrine” can be characterized as follows: the US “must not blink” and do “whatever it takes” to “stop the terrorists that are hell-bent on destroying America”. Three simple propositions: “don’t blink”, “everything it takes”, “stop terrorists” – Robocop couldn’t have done it better. If this means going across international borders and breaking every international treaty in the book, so be it. If it means going to war with Russia, so be it as well. It’s all according to “God’s plan”. In her case, “God’s plan” meant that, until last year, her total foreign experience amounted to trips to Canada and Mexico; she only left North America in 2007 to visit American troops in Kuwait and injured soldiers in Germany, in what she describes as “the trip of a lifetime”. She has also never met a foreign leader – which is something that she is not in the least worried about. In fact, that only comes to prove that she is not part of the “politics as usual” gang. One has to assume that would be the gang of those that actually know with whom they’re talking to. Classifying as “unprovoked” the Russian military action on Georgia, Palin expressed her believe that the US must “keep an eye” on Russia – one has to assume it would be the same unblinking eye of American righteousness. Strongly in favor of getting Ukraine and Georgia into NATO, she lightheartedly (and unblinkingly) admitted that “perhaps” that could lead to war with Russia. Not that she loses a lot of sleep thinking about what goes on inside the Kremlin. Asked what insides on Russia she has (being governor of a state that neighbors Russia), Palin didn’t hesitate to mention that she could see Russia from Alaska. She may not have a clue about Putin and Medvedev’s intentions, but she sure is your woman if you want to spy the seals across the Bering Strait. On another hot matter, Iran, Palin made clear that she did not believe Ahmedinejad would come so far as to use atomic weapons (would Iran ever get so far as to actually build them). However, Palin fears that he would “allow terrorists” to use them, which calls for “putting the pressure” on Iran. This “pressure” could come in the form of a Israeli attack on Iranian nuclear facilities, which would be regarded as entirely justifiable by the vice-presidential candidate. In fact, one has to assume from this interview that anything Israel chose to do would be pre-approved by a vice-presidential cabinet under Palin. Pressed on this matter, she repeated again and again that, being a “friend of Israel”, the US could not “second guess” any actions that Israeli leaders would take in order to “defend themselves”. One wonders if this view would go so far as to approve an Israeli preemptive nuclear attack on Iran, Israel being thus far the only nuclear power in the Middle East. On 9/11, Palin pinpoints the hijackers “not believing American ideals” as the reason behind the attacks. At the point of standing up to salute the flag, Palin exposed her answer to the problem, which consists in providing them “the hope that all Americans have instilled” in them. Palin’s poor understanding of security matters became even more evident when, asked if she agreed with the Bush Doctrine, she made clear that she didn’t have a clue on what that would be. She blathered about Bush’s “world view” – which, according to her, made him try to “rid this world of islamic extremism and terrorists that are hell-bent on destroying” the US – and the “beauty of American elections”, that provide “new leadership” to correct the “blunders” that were made while ridding the world of evil-doers. Charlie Gibson, the interviewer, then helped her a little, explaining that the Bush Doctrine consisted in asserting the right of the US to preemptively attack any foe deemed to pose a threat, even if no hostile action had been taken against the US. Energized by the fresh understanding of what this “Bush Doctrine” was, Palin jumped to confirm that the US had “every right” to defend itself, given that “legitimate and enough intelligence” was provided that a “strike is eminent”, which makes her a strong backer of the Bush Doctrine after all, although oblivious of its existence. In the end, what comes out if this interview is the portrait of a “hockey mom” that feels the need to consider everything in the simplest of terms, and is not in any way prepared for the complexities that a cabinet-level position entail. One that, thrown in the global playing field and armed with a nuclear stick, would not hesitate to shoot away, not pausing for a moment to consider if she wasn’t scoring against her own team. If elected, McCain, at 72, would become the oldest man to reach the White House. In the event of his incapacitation, Palin would automatically assume the presidency, making her, now at 44, the youngest President in American history. America is just coming out of 8 years of the most inexperienced President in living memory. At a time when reestablishing American standing in the world is a crucial concern for Washington, could it afford a repeat of history? Is America ready for the “Barracuda President”? Would the world survive it? These are to questions that American electors should consider very carefully when they elect their new President. The European Union on Tuesday declined to offer Ukraine the long-term prospect of EU membership, frustrating Ukrainian officials who said the bloc had thrown away a golden opportunity to stabilise its eastern frontier and encourage political and economic reform in Kiev. FT.com / World – EU frustrates Ukraine’s membership hopes.